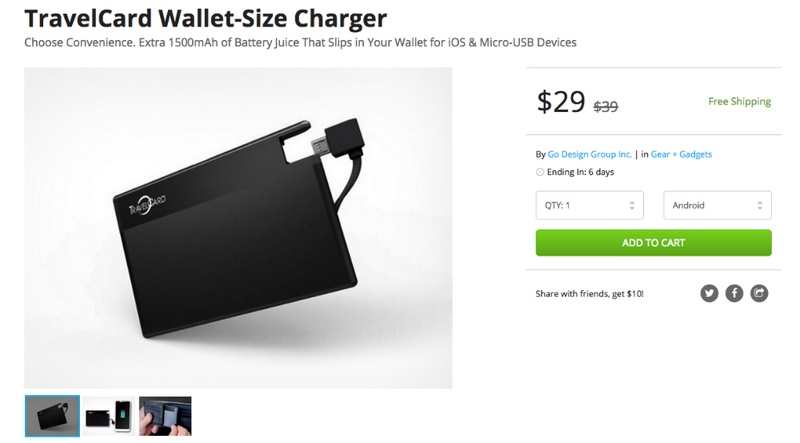 For a few more days on the DL Deals Store, you can grab a TravelCard wallet-size charger for $29. Usually priced at $39, owners can place this little card right into their pocket or wallet, allowing for on-the-go microUSB charging capability. The card features a 1500mAh power reserve, lightweight design, and is extremely thin at 3/16 of an inch. If this piece of tech interests you, check it out by following the deal link below.